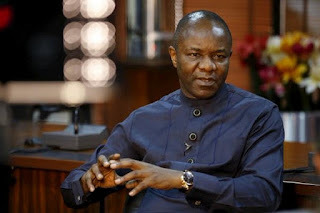 The Minister of State for Petroleum Resources, Dr. Ibe Kachikwu, has said that the federal government would have had to cough up N16.4 billion every month to offset the subsidy claims of oil marketers had it not taken the decision to remove the subsidy on petrol. Kachikwu, in a series of tweets sunday, explained that at the time the government made the decision, it was incurring about N13.7 kobo as subsidy on each litre of petrol bought by Nigerians. Kachikwu said at the rate of N13.7 kobo per litre as subsidy claims, the government would have paid out N16.4 billion to marketers monthly, adding that the government does not have such funds in its 2016 budget, more so now that the country’s earnings from crude oil have dropped. Also, a former energy and mines minister of Venezuela, Dr. Alirio Parra, has described the recent decision of the federal government on the downstream petroleum sector as historic and smart. Parra, who is also a member of the global oil industry outfit, CWC Group, stated at a forum in Abuja over the weekend that the liberalisation of the downstream sector in the country was a bold testament to the fact that oil is a market-driven commodity. A statement from the Group General Manager, Public Affairs of the Nigerian National Petroleum Corporation (NNPC), Mallam Garuba Deen Muhammad, stated this. According to Parra, “One really important change in the oil and gas industry in Nigeria is the decision by the federal government to open the domestic market for competition. He further stated that the opening up of the market would in no time encourage more players to bring in petrol which would eventually lead to a new era of competitive pricing. “Soon people will start to rush out to bring in oil thinking they are going to make a huge profit but as more oil comes into the market, things would start to stabilise and slowly it would find its own level at a price no one can forecast but surely it would be at a competitive price. “I think this is a historic decision and it is one of the smartest that Nigeria has taken in recent years,” he said.